The Hawaii Office of Elections reported that 66% of registered voters cast a ballot in the 2008 presidential election. According the U.S. Census Bureau, that number was even smaller – just 51.8%, the lowest voter turnout in the nation – even though it was an improvement over the 50.8% of registered voters in the 2004 presidential election. This is one of those times when you don’t want to be #1. The question is, How can we encourage more people to vote? Currently, Hawaii has no provisions for statewide initiatives or referendums. Hawaii legislators proposed it in 2001 with HB 1445 and again 2007 with HB 789. The proposed bills failed. We need to remind the people of Hawaii that the government’s power comes from us. And that’s why we need the right to call for initiatives and referendums. Individual laws may seem reasonable when they respond to a problem, but all of the laws put together can start to take over our lives. Initiative and Referendum are the tools we need to hold lawmakers accountable and keep government in check. Initiative would allow Hawaii voters to put an issue on the ballot to be voted on during a regular election. For example, it’s perfectly legal to sit in the back of a pickup truck. Our lawmakers haven’t changed the law to require safety restraints, but with the right initiative, we could. Referendum would allow Hawaii voters to approve or reject a law or constitutional amendment by ballot. It would not allow voters to amend public spending, tax laws, or collective bargaining agreements. For example, you could get a ticket (and pay a fine) if you don’t wear your seat belt. I think it’s your choice to buckle up or not, except in the case of minor children. But with the right referendum, we could reject the seat belt law and take back a little control over our lives (and our commute). Our legislators are supposed to represent us. And if they don’t represent us, we need the power to challenge their decisions. What do you think? Would expanded voting rights get your vote? What if the Hawaii tax code disappeared overnight and we had to start all over? What if our government had to design tax returns that fit on one page, with one page of supporting information (if necessary)? What if we could force the tax return people to sit down in a room with a computer, no Internet access, and a TV camera to broadcast all of their discussions? * State sales tax on retail sales, NOT a general excise tax (GET). The sales tax would tax all retail-level goods and services, perhaps at 7%. It would exclude food, drugs, and medical care. There would be no taxes at the manufacturing or wholesale level, which would save us all a lot of money because the prices of foods and goods would decrease. There would be no Internet or out-of-state sales, because we don’t have the power to impose a tax on another state. * Flat state personal income tax, not a progressive tax. Personal income (salaries, wages, tips, commissions, bonuses, prize winnings, gambling earnings, royalties, and pass-through business income) would be taxed at a single flat rate, perhaps 5%. The standard deduction would be lower, so that more people would pay taxes at a lower tax base. We would eliminate most tax credits for individuals, except for education and child care expenses, health care expenses, retirement contributions, and charitable contributions. I know that many people would be angry about losing the homeowner’s tax credit, but maybe we need to shift our priorities to having a home, not necessarily owning a home. * Flat state business income tax, not a progressive tax. Business income (sales, royalties, licenses) would be taxed at a single flat rate, perhaps 5%. We would eliminate most tax credits for businesses, except for a small business tax credit to encourage entrepreneurs. Tax credits to lure businesses to Hawaii would have to be on a graduated scale, with smaller tax credits in succeeding years or for additional projects. * End state income tax withholding. In a way, our income taxes are “hidden” because they are withheld from our paychecks and we never even have the money in the first place. If we eliminate withholding, we’ll see how much we are really paying in income taxes when we fill out our tax returns. In addition, it would reduce the paperwork for businesses; after all, why should businesses collect taxes for the government? * No taxes on investment income (interest, dividends, and capital gains), up to a set amount that is adjusted for inflation. Investment income over that amount would be taxed at a low rate, perhaps 3%. We want to encourage savings and investment, and discourage frivolous spending. We shouldn’t penalize savings; the more money we save, the more money the banks can lend in our communities. We can’t control the federal government – not unless other states join Hawaii in calling for a complete overhaul of our tax system. But we can work to change Hawaii’s tax system. We all deserve reasonable taxes that we can all understand, and we can make it happen. How else can we simplify our taxes? If you disagree, what are your suggestions? We have laws promoting seatbelts, prohibiting speeding, and penalizing jaywalking. We have driver’s education classes, DUI checkpoints, and some of us are MADD. But when it comes to saving lives on the roads, we could still make our streets safer for drivers, pedestrians, and cyclists. * Design wider crosswalks. Regular crosswalks are about 6 feet wide, but SafeRoutesInfo.org recommends crosswalks that are 10-15 feet wide for school-related crosswalks. We could make it the standard for all major intersections too. * Install street reflectors and directed lights in crosswalks. We should add street reflectors for day use and directed streetlights for night use, especially if they are not at an intersection. * Plan wider bike lanes in future developments. Hawaii already has a well-developed Bike Plan – we just need to follow it. The Federal Highway Administration recommends that bike lanes are at least 4’ from the curb (not including the gutter pan) or 5’ from the curb or adjacent parking lane. * Slow down. 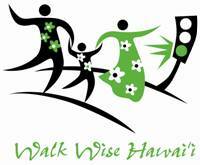 The Hawaii Department of Transportation has a “Walk Wise” program and DTRIC has a “Drive Aloha” program, but we are the ones that make them work. All of the safety laws and planning is ineffective without all of us taking the time to slow down, look around, and pay attention. Ultimately, it’s our responsibility to look out for ourselves. What are your ideas to make our streets safer for everyone? It’s been a few years since I’ve been in school (I won’t say how many), but I don’t remember a lot emphasis on civics education in school. We said the “Declaration of Independence” every morning in grade school, but that stopped when we got older. In Social Studies and History, we learned about our country’s founding, but we always rushed through more recent history and current events. Today, there is a “Participation in a Democracy” class in public schools. Kids Voting Hawaii (http://www.kidsvotinghawaii.org/) helps students become engaged voters. But citizenship starts at home. What can we do at home to teach our future legislators, mayors, and governors? * Read the newspaper or watch TV news with your children. Then discuss what is happening in the world and in our local communities. Ask them how it affects us personally. * Play a “Mayor for the Day” game. Tell them what you would do and why, then ask your children what they would do. You’ll find out what they think is important – and what their school teaches them to think is important. * Volunteer as a family. Support a charity or community cause as a family – whether it’s participating in a walk or run, staffing a booth, donating spare change, or serving food. * Be a good role model by voting. It’s hard to encourage someone to vote if we don’t. So vote. What else can we do to teach our children about being good citizens? 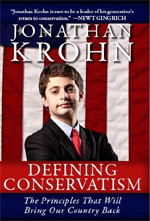 Jonathan Krohn is a hard-working 14-year old columnist, speaker, political analyst, and champion of conservatism. In his first book, “Defining Conservatism” (2010), he discusses the basic ideas of conservatism that can be agreed upon by all conservatives, so that they can take a stand against government expansionism, or the idea that individuals should rely on government. 1. Respect for the US Constitution and the rule of law. 2. Respect for life as a natural, inherent, and inalienable right. 3. An insistence on government in its most limited format. 4. Personal responsibility and accountability for your actions. In five concise, philosophical sections, Krohn examines the political theory behind government expansionism, the philosophy behind strict judicial constructionism, the universal right to life, and the balance of individual rights and government. He points out that it is necessary for the private and public sectors to work together to create a sound economy and a good society, and concludes that government’s role is to protect the rights of individual, not help individuals. Krohn distills conservative principles down to short, easy-to-read chapters. He avoids personal attacks against politicians, using them only to point out expansionist thought. It is a mature, reasonable, and passionate argument for conservatism, one that encourages everyone to examine their political beliefs. You are currently browsing the Better Hawaii weblog archives for July 2010.